Uh oh! Are the other family branches going to let William & Anna Schmidt’s descendants run away with this contest? 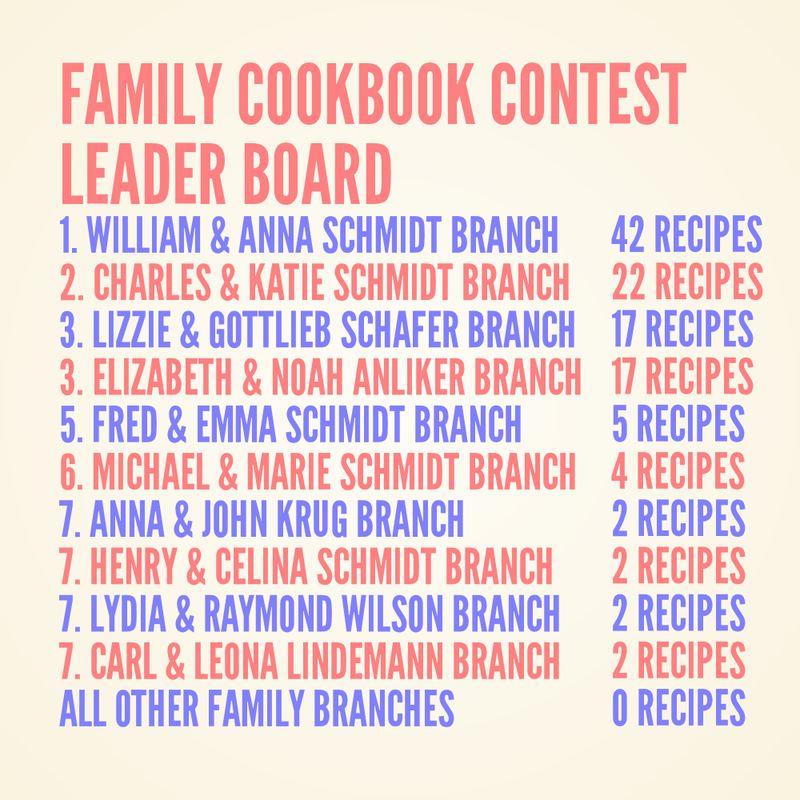 Which branch of Schmidts can submit the most family recipes? The winning clan gets bragging rights at the reunion. Click here and submit before May 31st! Thank You to Donald and Marla Schmidt! Thank You to Bruce Schmidt! Schmidt Cookbook & Children’s Books Still For Sale!